Mask & Mirror Community Theatre proudly presents their production of Tom Griffin’s comedy-drama “The Boys Next Door” on The Stage at Calvin Church, 10445 SW Canterbury Lane, Tigard, opening March 2. Shows play Saturday at 7:30pm and Sunday at 2:30pm through March 24. There are no Friday performances for this show. Tickets are available online at www.MaskandMirror.com, and are only $15 adults, $12 seniors, students and military. “The Boys Next Door” explores the triumphs and tears of four disabled men living together in a group home, and their social worker caretaker, who is slowly getting burned out by his job. 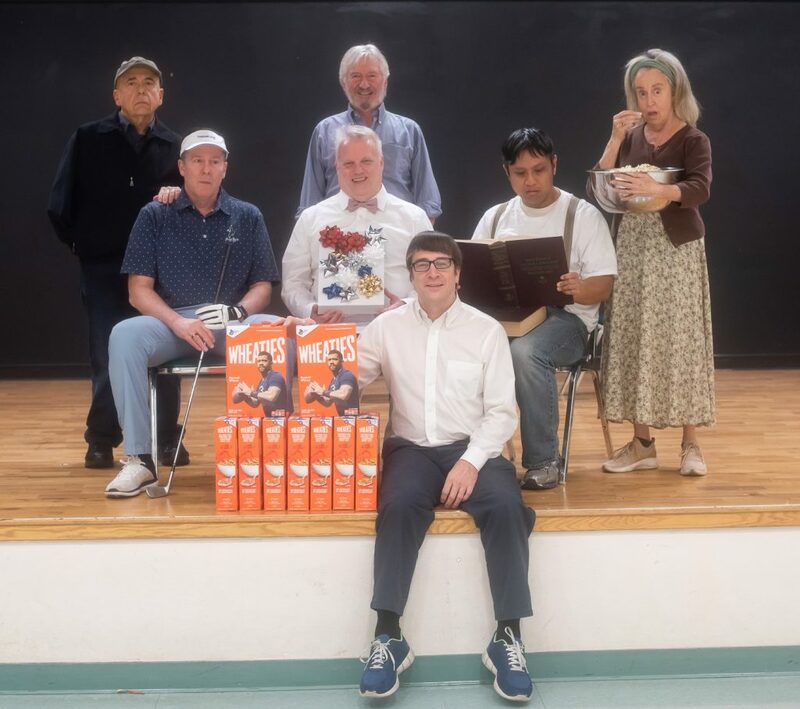 You’ll fall in love with “The Boys” as the play tells the story of their daily lives, where little things sometimes become momentous (and often very funny). There are moments of great poignancy when we are reminded that the handicapped, like the rest of us, want only to love and laugh and find some meaning and purpose in their lives. “The Boys Next Door” was one of the most produced play in the U.S. in the 1980’s, and is still current, except for some language used that is no longer politically correct. History has shown that some audiences are uncomfortable with some of the situations depicted, and are afraid to laugh. To help the audience understand the context of the play, Mask & Mirror will host a talkback with the director at each performance; held 15 minutes before the doors normally open. Mask & Mirror Community Theatre is a 501(c)3 non-profit performing company. Your support is appreciated. Additional information can be obtained by visiting www.MaskAndMirror.com or contacting Gary Romans atInfo@MaskandMirror.com.